Weighty Matters: World's Best Beverage? I simply can't wait for Friday to post this. So today, for Funny Tuesday (and due to the fact that for the second morning in a row I've got to deal with my snowy driveway) may I present to you, Brawndo! Firstly let me assure you, it is in fact an actual product. 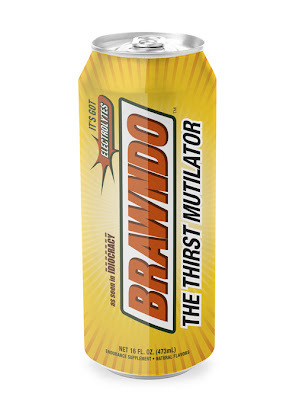 After watching their online commercial, I have decided that I absolutely adore their product - so much so that the next time I want a sugar-laden, caffeinated "energy drink" I will absolutely reward Brawndo's truthiness with my hard earned cash.